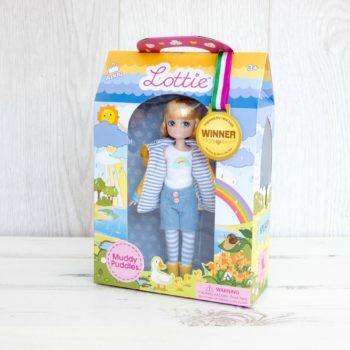 Our range of Lottie dolls are a perfect alternative to normal main stream dolls. 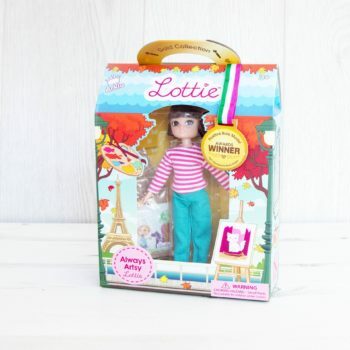 With an emphasis on equality, women’s rights and fairy gender stereotypes, Each Lottie doll features core values that empower young minds. Perfect for many occasions. 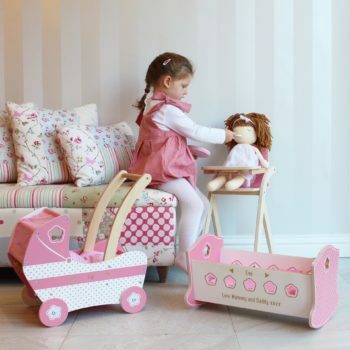 All dolls comes with a clear unique theme. It’s my birthday today – hip, hip, hooray! There is something so magical about birthdays. Friends and family, party games, delicious treats and super-scrummy cake! 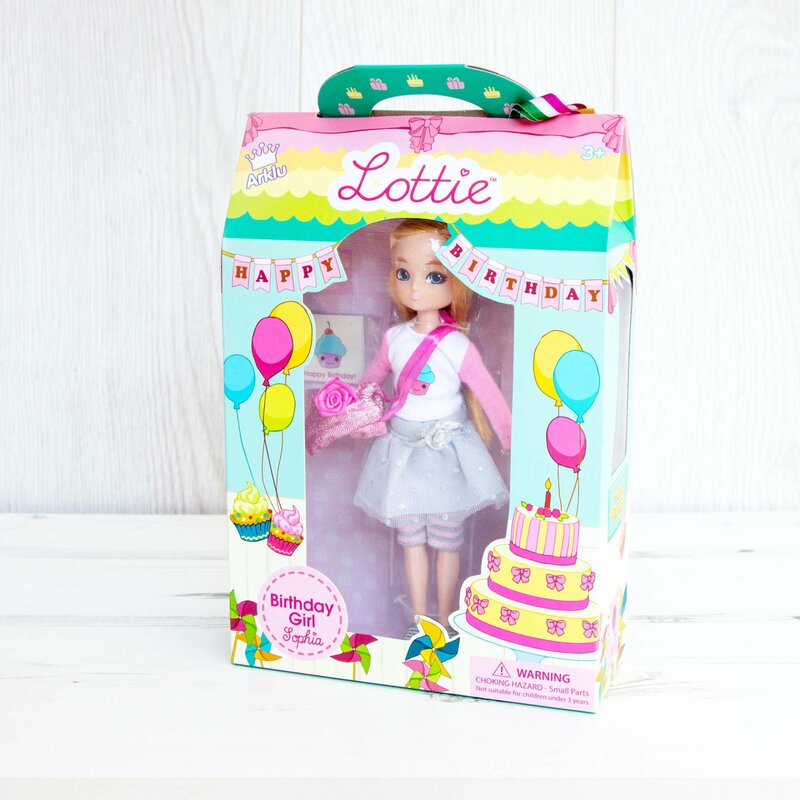 This year, straight after my party, I’m going to ask my big sister Lottie to help me to make cards to say “thank you” to everybody. I just can’t wait for my first guests to arrive, now. I’m so excited! Includes a t-shirt with cupcake print, silver tutue, grey/pink short leggings, bag, trainers & 3 mini cards.